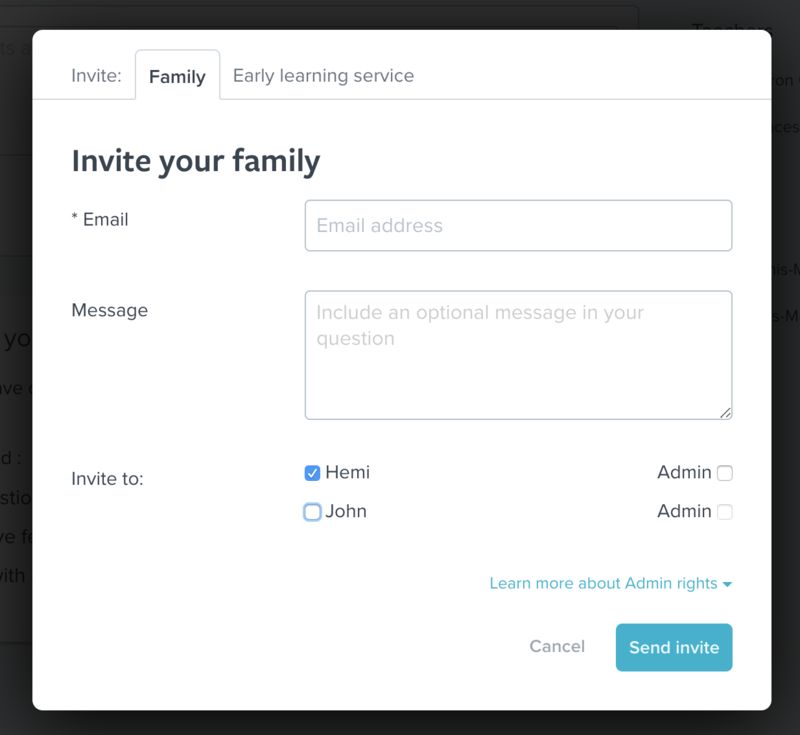 Our system only allows teachers to invite one parent to a child’s profile. This is for security reasons so parents have control over who has access to their child’s stories and information. Once a parent is invited however, they can then invite as many other family members as they like, including the other parent (usually the first person they invite). 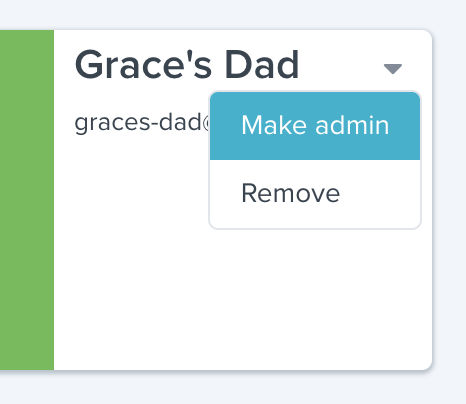 They can also make any of those people Admins (usually both parents will be Admins). Think carefully before granting another person admin rights for a child because that person will then have joint responsibility over the child's Storypark profile. You must have a high level of trust in that person, particularly as they can then invite other people to view the child's profile, and also delete the child's profile. Generally, admin rights should only be given to the child's other parent or a primary caregiver such as your partner. Click the 'Invite' button at the top of the page. Fill out the recipient's email address and click the checkbox next to the word 'Admin'. 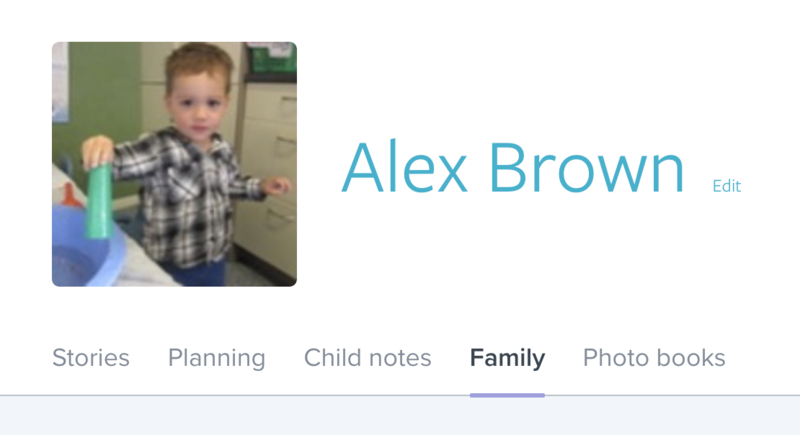 Go to a child's profile page and click the 'Family' tab. 2. Find the person to whom you wish to grant admin rights. 3. Click the arrow in the top right corner of that family member's tile, and from the drop-down menu select 'Make admin'. 4. That person will now have all the additional rights outlined above. 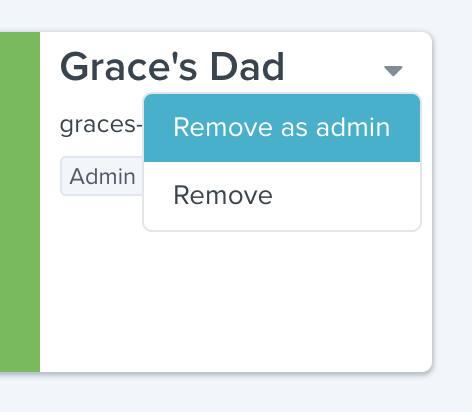 To remove admin rights from a person, click the arrow in the top right corner of that person’s tile and from the drop-down menu select 'Remove as admin'.